Today, we’re excited to announce the release of CrewFire’s biggest feature update since launching the CrewFire 2.0 redesign earlier this year – an entirely new campaign type we’re calling **Hashtag Tracking Campaigns**. - Get organic-level reach, because every post is made natively in each network! 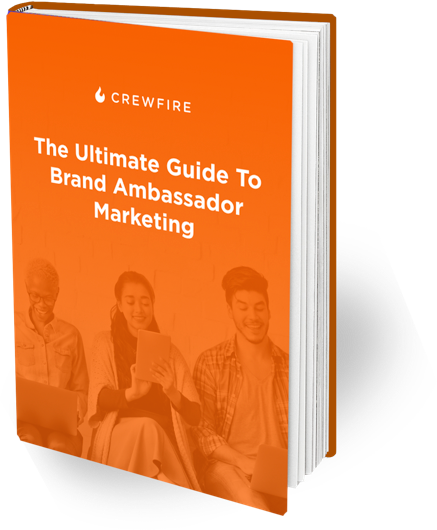 Previously, CrewFire had just one campaign type – Post Suggestion Campaigns – with which Brands can suggest single Facebook, Twitter, or Instagram posts to their Ambassadors. - Today with Hashtag Tracking Campaigns, Managers give the Ambassadors broad instructions on what to post, and assign a designated hashtag to the campaign. The Ambassadors receive the campaign instructions via SMS and email. Ambassadors can then make their posts natively on each social network, using the designated hashtag. CrewFire will listen for posts made with the designated hashtag, and pull them into the campaign (giving the Ambassador points for each post). Managers can review a Feed showing all the posts their Ambassadors made using the designated Hashtag, and delete any that aren’t suitable for the campaign. is an incredibly powerful new tool that will help your business drive more sales, shares, and engagement from social media than ever before. Want to experience the power of Hashtag Tracking and Post Suggestion campaigns for yourself? There’s PLENTY more big advances coming in the weeks and months to come. Don’t miss out. Start your trial or shedule your demo call today, and we’ll get you growing your business with brand ambassadors in no time.